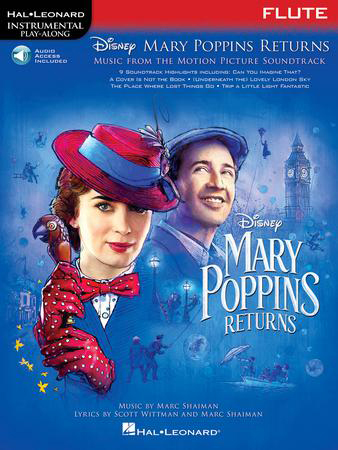 Solo arrangements for nine Marc Shaiman songs from the 2018 movie are featured in this collection perfect for budding instrumentalists. It features online access to audio demonstration and backing tracks for download or streaming to help you hear how the song should sound and then to play along and sound like a pro! Songs include: Can You Imagine That? ; A Conversation; A Cover Is Not the Book; (Underneath the) Lovely London Sky; Nowhere to Go but Up; The Place Where Lost Things Go; The Royal Doulton Music Hall; Trip a Little Light Fantastic and Turning Turtle.